How much must others look like you for you to accept them? And how many liberties can the individual take without breaking up the community? 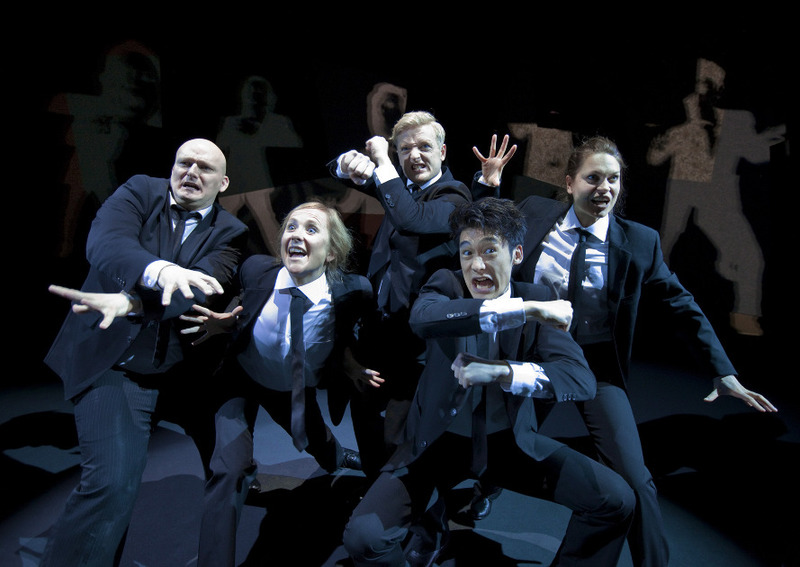 Questions such as these are pushed to extremes by the Belgian playwright Tom Lanoye in his tragic-comical play POUL, POUL, POUL, POUL & POUL, set in a dramatic universe where everybody, men and women alike, are named Poul and practise their Poulness. In this community of clones it is frowned upon to deviate from the norm, indeed any attempt to stand out results in an immediate crackdown. This is what Poul comes to learn for himself when he suddenly begins to experience the group, not as freedom, but rather as a prison and decides to leave it. Tom Lanoye is one of the leading Belgian writers and playwrights and his plays have been performed in most European countries. Lanoye is famous, not least in Germany, for the way he revolves, thematically, around the many paradoxes of Western culture. War is a recurrent theme in his works, and he describes himself as one of the last, great poets before the third world war. Now, Holland House's production of POUL, POUL, POUL, POUL & POUL introduces Lanoye in Denmark. The production at Dansehallerne has made use of the impressive physical measures of the Store Carl stage. In this format, the Pouls was be able to unfold their extensive indomitableness and isolate themselves in their claustrophobic narrow-mindedness. A raw and naked performance space, utilizing the factory architecture characterising the place, is brought into play by space-making video projections and dynamic lighting. Choreography, dramatics, video and lighting are developed in close interaction with FM Einheit's musical interventions that are composed and produced especially for this play.